While there are many a Christmas cartoon made in the West, let me tell you why the original “Grinch” is the best. A careful use of 60’s animation technique is great work, all to properly render television’s biggest Grinchy jerk. “How the Grinch Stole Christmas!” is not just a timeless story that communicates a strong message to children without taking off their ears, but its animation and storytelling stand head, shoulders, mid-drift, pelvis and knee caps above its peers. The awful, terrible grin of the Grinch is smooth as spiders’ silk and the Grinch’s antics in Whoville really show he’s a jerk. 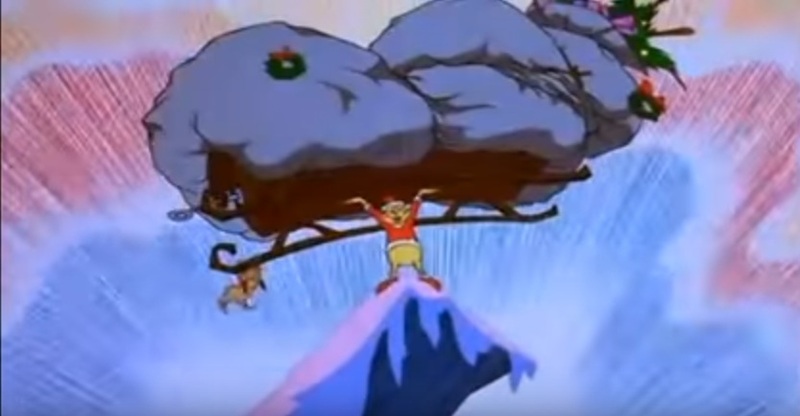 The whirl of an engine as the Grinch and Max fly in a loop over the mountain, the sound of a trumpet as the Grinch rides into Whoville to return presents like a fountain: The sound design tightens the whole production like a winch and the actors flourish with their voices, which are all deeper than the Mariana Trench. The Grinch is acutely aware of all of its sound elements and uses them with care. It strikes a skillful balance of narration, talking and singing, but never splits grinchy hair. But who could forget the special’s message? That Christmas is about coming together in joy, not the wrapped package. Sure, “Frosty the Snowman” is an excellent allegory for Christ, “Rudolph the Red-Nosed Reindeer” is a reminder to play nice, and when sleep medication is unavailable, “The Little Drummer Boy” sufficed. However, they all pale in comparison to the Grinch’s message of glee, for “How the Grinch Stole Christmas!” has quite the eye for meaning and simplicity. “Frosty” wastes too much time and “Rudolf’s” animation isn’t exactly on the dime, but while the others stumble, the Grinch is in its prime!